A drive-in cinema run by a Christian family in rural Alabama has cancelled screenings of Disney’s live-action remake of ‘Beauty and the Beast” due to an inclusion of a gay character. Netizens slammed the owners of the Henagar Drive-In Theatre after announcing that it will not screen the highly anticipated film which will feature Disney’s first gay character, LeFou. “For those that do not know Beauty and the Beast is ‘premiering’ their first homosexual character … If we cannot take our 11-year-old granddaughter and eight year old grandson to see a movie we have no business watching it. If I can’t sit through a movie with God or Jesus sitting by me then we have no business showing it,” it wrote on its Facebook post. ‘Beauty and the Beast’ which headlines Emma Watson and Dan Stevens is the first Disney film to include an openly gay character. 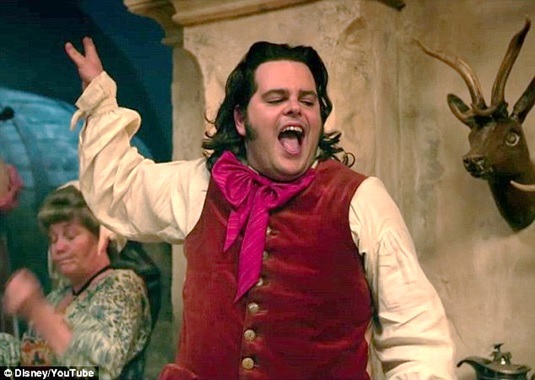 Portrayed by actor Josh Gad, LeFou will explore his sexuality and soon realize his feelings for macho character Gaston, which will be played by Like Evans. "Josh makes something really subtle and delicious out of it. And that's what has its pay-off at the end, which I don't want to give away. But it is a nice, exclusively gay moment in a Disney movie,” director Bill Condon told Attitude magazine. According to Milonov, the movie has elements of gay propaganda, which is prohibited in the country based on Russia’s law. Russia’s Ministry of Culture has not given a ruling on the movie.